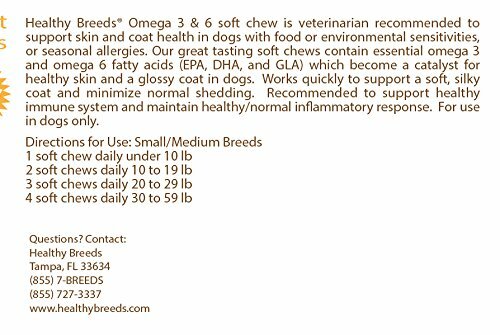 Healthy Breeds Omega 3 & 6 soft chew is veterinarian recommended to support skin and coat health in dogs with food or environmental sensitivities, or seasonal allergies. 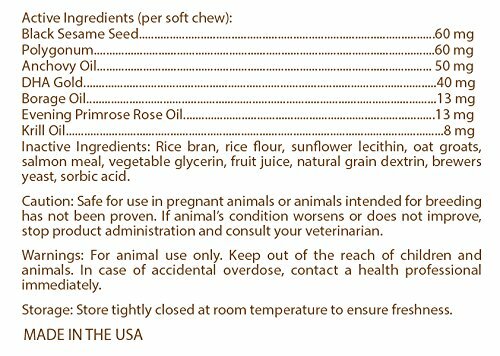 Our great tasting soft chews contain essential omega 3 and omega 6 fatty acids (EPA, DHA, and GLA) which become a catalyst for healthy skin and a glossy coat in dogs. 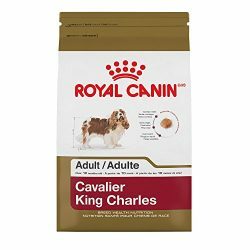 Works quickly to support a soft, silky coat and minimize normal shedding. Recommended to support healthy immune system and maintain healthy/normal in amatory response. 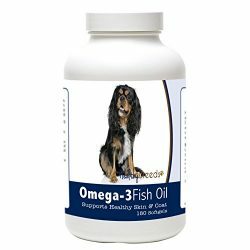 For use in dogs only.OMEGA 3 & 6 DOES IT ALL- Provides essential vitamins to promote healthy skin, coat, joints, inflammation, heart and brain! 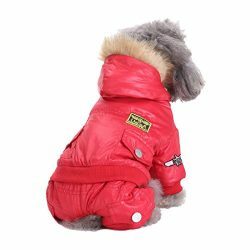 SUPERIOR SKIN & COAT- The Omega 3 & 6 will give your dog’s skin and coat the boost it needs to help maintain the color and shine! 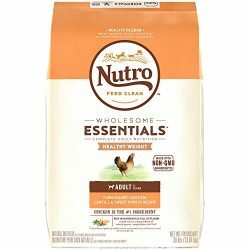 The fatty acids (EPA, DHA, GLA) are perfect for dogs suffering from dry and itchy skin. Reduce shedding and support healthy skin! 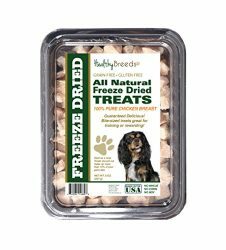 EASY TO ADMINISTER- Tasty soft chews are easy to give to your dog as a treat or snack! Perfect way to supplement their diet! MADE IN THE USA! Buy with confidence! 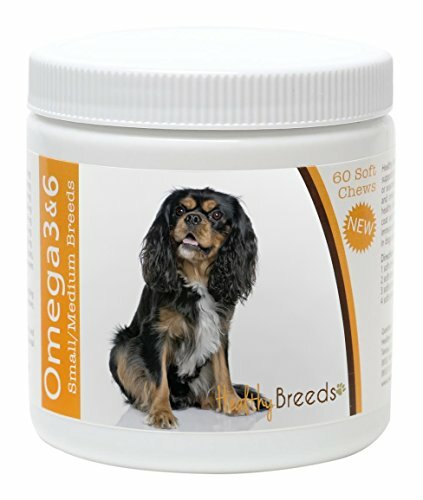 Healthy Breeds Omega 3 & 6 product is made in federally regulated manufacturing facilities! Excellent customer service and return policy. 100% satisfaction guaranteed! 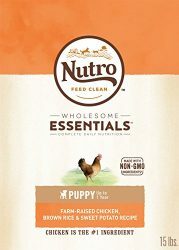 Healthy Breeds offers Omega 3 & 6, large dog formula as well! Search for your breed!